A hearty soup featuring LEAN CUISINE® Fiesta Grilled Chicken. Veggies, chicken stock, herbs and cheese are added to make a soup worthy of any fiesta! SPRAY sauce pan with cooking spray; heat using medium heat. ADD onions to saucepan; cook until golden brown. ADD corn to sauce pan; cook for 5 to 7 minutes. 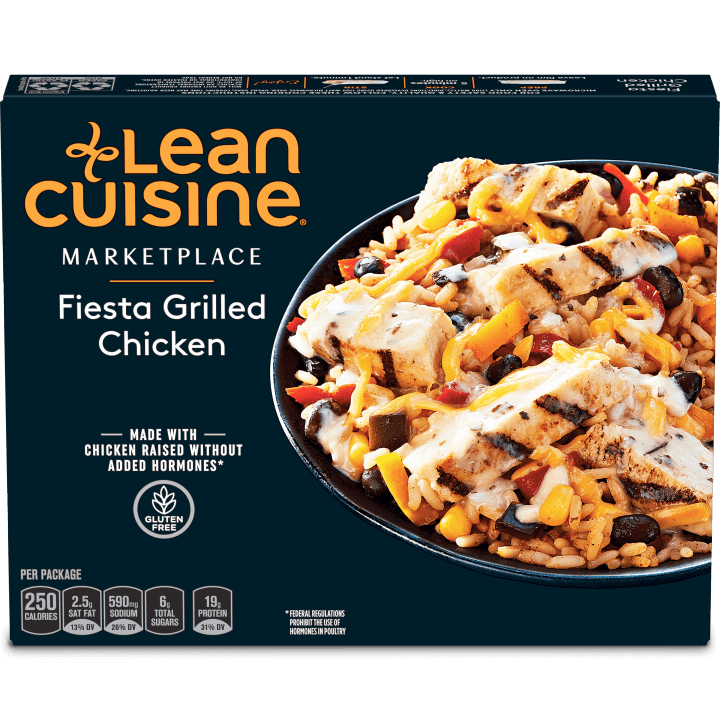 HEAT LEAN CUISINE® Fiesta Grilled Chicken according to package instructions. ADD chicken stock to onions and corn mixture; bring to a boil. ADD LEAN CUISINE® Fiesta Grilled Chicken; bring back to a boil. Turn down heat to a simmer; heat for 3 minutes.